​Set in 1974, Cynthia Bond's Ruby navigates the relationship between Ruby Bell, the former town beauty who returns from a decade in New York City only to quietly toile with her early childhood trauma in the empty house of her grandfather, and Ephram Jennings, the local simpleton whose long-standing love of Ruby is made manifest as the tenderness she has never experienced. Amidst the narrative, the reader is offered snippets of Ruby's pain, a history pocked and marred by sexual abuse and assault that extend beyond her immediate lifetime. The daughter and niece of Black women who were raped, murdered, and driven out of town by white men and their presumption that Black bodies solely exist for their consumption, young Ruby is also robbed of her own bodily possession through a litany of assaults at the hands of a local reverend's misguided spirituality, one rooted in a bastardized voodoo tradition. Consequently, Ruby is plagued by the spirit of this reverend, even upon his death, and is made to endure her pain again and again. Her response to her condition, one mired in a legacy of raced and gendered violence, is superficially extended as a descent into madness, for she is repeatedly seen wandering the town barefoot, sleeping in the woods, and shouting at passersby. Yet, her neglect by the local community in conjunction with the willful misunderstanding of and disinterest in the lived experience of a young Black woman oppressed by the raced and gendered circumstances of her existence is only acknowledged as irrational and inappropriate, manifested as "unruly" and "crazed" behavior. 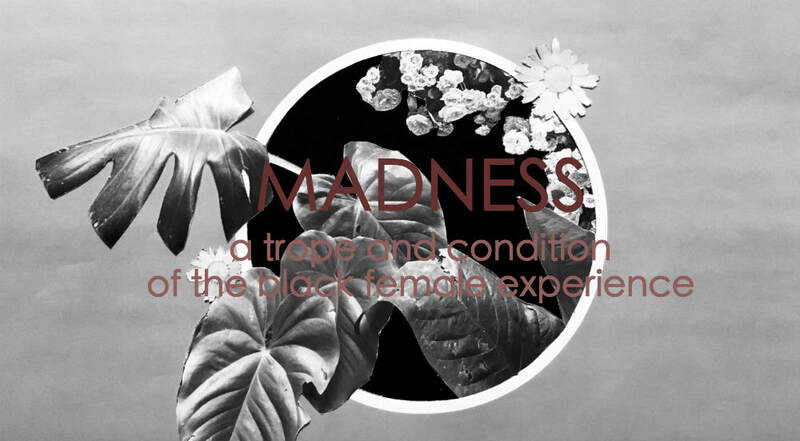 Contextualizing Ruby's madness, both her anger and her alleged psychosis, within Audre Lorde's contention that anger is an appropriate response to injustice, the behaviors of Ephram are consistent with a cognizance of this anger and an empathic reading of the raced, gendered, and classed position of the Black woman within American culture and the larger African diaspora. This dynamic, one that is far more nuanced that the simple binary that affirms existing systems of power, is one that is disruptive to the dominant discourse insofar as it responds to madness with a distinct recognition of its source. Moreover, this disruption articulates a shift, or what Denise Ferreira da Silva would call "the end of the world as we know it" in her essay "Toward a Black Feminist Poethics." Despite conjuring doomsday imagery, the "end of the world as we know it" and its framing within the context of race and gender hierarchies offers a unique and unprecedented opportunity for change, a "radical praxis" through which a new and liberated world can emerge. Within the narrative of Ruby, the title character's madness functions as a form of radical praxis, one that enables her to cast out the reverend's lingering spirit and remake her world into something that centers her own needs and personhood. This is made wholly possible by the manner in which her anger is received and acknowledged (by Ephram) with respect to its source, a deep well of oppression, subjugation, violence, and intersecting biases, the conditions of which Black women have been historically subject.